This bread reminds me of my childhood and Christmas all rolled up into one pretty little loaf of bread. My mom used to bake loaves upon loaves of cardamom raisin bread at Christmas time. She would send my sister and I to school with beautiful loaves of fresh baked bread for our teachers as their Christmas gifts. I imagine the teachers must have loved getting those loaves. While this isn’t my mom’s exact recipe, it does include the cardamom and I think it is just as wonderful. I’ve carried on my mother’s tradition, with this bread. I share it with neighbors, teachers, and anyone who stops by our home for the holidays. It freezes beautifully, so you can make a big batch ahead of time, freeze the loaves and distribute to all of your neighbors when it is convenient. And by the way, it is the absolute best toasted. When you are shaping the loaves, you can either make one large loaf, or three smaller loaves. I usually do three smaller loaves for sharing. Just divide the dough into thirds and then thirds again (if you are going to make three loaves). Roll each third into a long snake and braid it up all pretty. Let rise and then brush with an egg wash and sprinkle with turbinado sugar. The sugar makes it all sparkly and pretty – which is just what we need when we are doing holiday baking, right? Combine the milk through the salt in a heavy saucepan over low heat. Cook 5 minutes or until sugar dissolves and a thermometer registers 115 degrees, stirring frequently. Remove saucepan from heat. Add the warm milk mixture into your mixer bowl. Add the dough enhancer, vital wheat gluten, yeast, egg and about half of the flour. If you are using your Bosch Universal mixer, and have a dough hook extender, use it. Mix just to combine (pulse a couple of times on your Universal). Turn machine to low (setting 1 on Universal) and continue adding flour ½ cup at a time until the dough just cleans the sides of the bowl. You may not use all of the flour. Knead the dough for 6 minutes or until the surface is smooth and elastic. 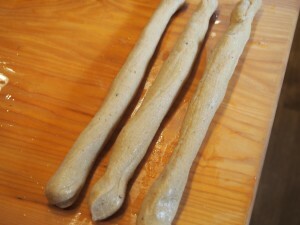 Place dough in a large bowl coated with cooking spray, turning to coat top. Cover and let rise in a warm place (85 degrees), free from drafts, 1 hour or until doubled in size. Punch dough down; cover and let rest 5 minutes. (You can skip this step if you are using freshly milled flour and the Universal). Divide dough into 3 equal portions. Working with one portion, divide it again into three equal portions. Shape each portion into a 10-inch rope. Pinch ends together at one end of seal. 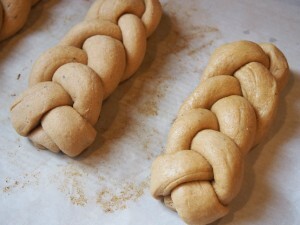 Braid ropes on a lightly oiled surface, pinch loose ends to seal or turn them under. 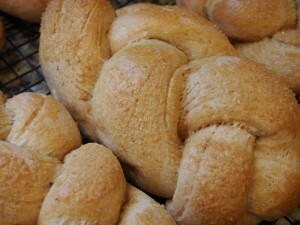 Place braid on a baking sheet coated with oil. 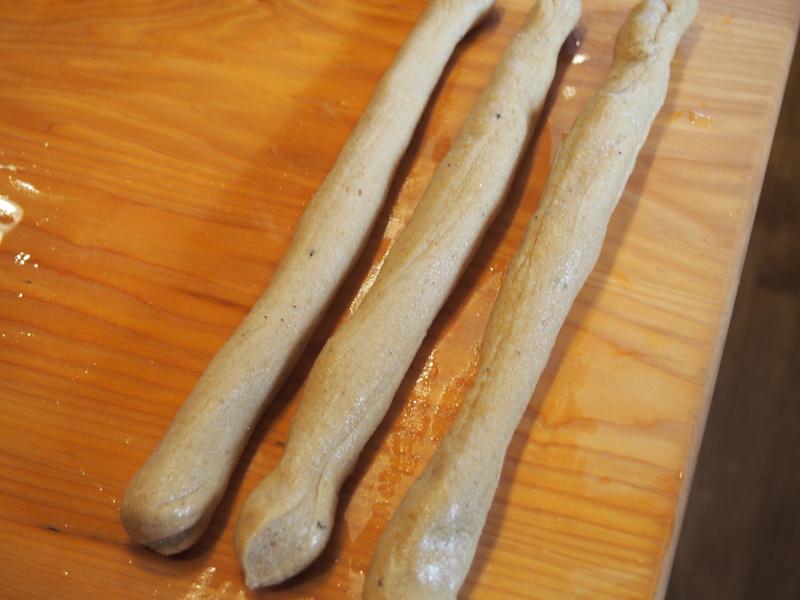 Repeat with remaining portions of dough so that you have three loaves formed. Cover and let rise 30 minutes or until doubled in size. Combine egg white and water; brush over top of loaf. Sprinkle with course-grain sugar. Bake at 375 degrees for 25 minutes or until golden and loaf sounds hollow when tapped. Remove from oven; cool on a wire rack.